Alessandro’s research spans several topics in environmental economics, primarily related to the drivers of cooperation in the (climate) commons. This is tackled through a combination of non-cooperative and evolutionary game theory models, as well as laboratory experiments, surveys and simulations, in an effort to shed light on the potential solutions to environmental dilemmas. 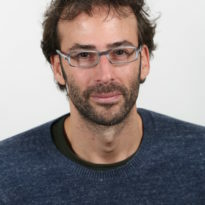 Alessandro holds a PhD in Economics from Universita’ Ca’ Foscari di Venezia (2011). He is also an Associate Researcher at Fondazione Eni Enrico Mattei (FEEM), as well as a member of the Levin Lab at Princeton University and an International Fellow of the Sogang Experimental Economics Laboratory in Korea. Allesandro welcomes prospective PhD students interested in the above topics, and who have a solid background in economics.